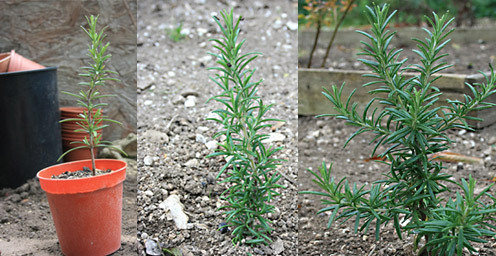 It’s about this time I take a few Rosemary cuttings. 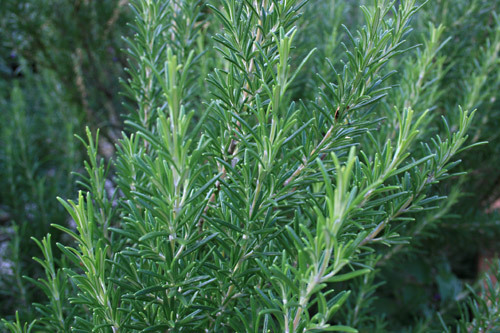 It’s about this time I look at replenishing my stock of Rosemary plants. It’s one of my favourite herbs, which I like to have in plentiful supply as I use it all the time in the kitchen, not to mention throwing a few sprigs on the BBQ on a summers evening. 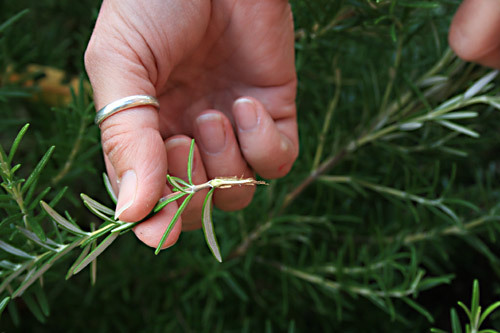 Also I like to get something for nothing if I can, and Rosemary cuttings are really easy to propagate at this time of the year, so if you have a plant or know someone who has, then I urge you to have a go. 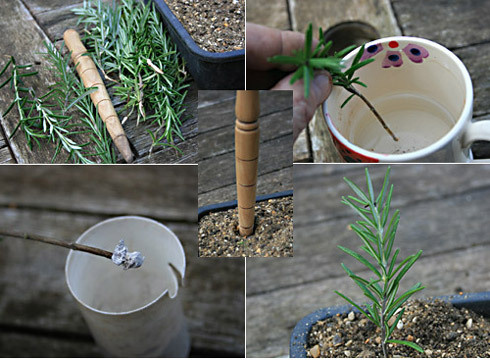 All you need to take Rosemary cuttings is a nice bushy plant, a free draining compost, some rooting compound and a dibber or pencil to heal in the cuttings. We’re fortunate at Blackbirds to have a few bushes that we can use as stock plants, but they all came from cuttings that I took a few years ago and have gone on to flourish on our well drained chalky soil. 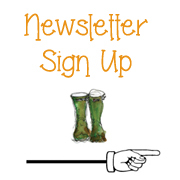 If you’d like to know more about how to take softwood cuttings or perhaps improve your chances of success you’ll find loads of really good content on the inter web. 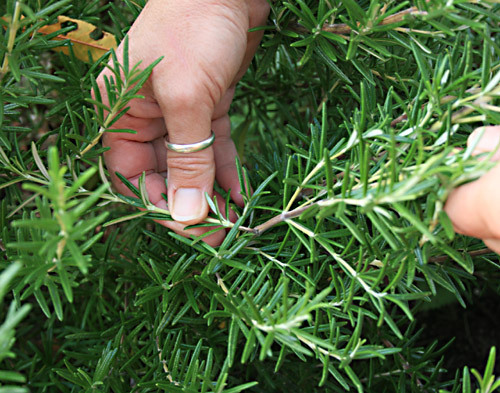 By this time of the year rosemary plants will have put on lots of new healthy growth, and if you follow the green stems back to the base you should be able to see where the green stem changes to a woody brown. This kind of material makes great cuttings and gives you a fighting chance of producing a healthy plant. What should I grow my cuttings with? Last year we tried raising cuttings in sharp sand, and although we had some success the cuttings took slightly longer to root and the plants didn’t seem to grow on quite so well. So this year I’ve returned to a mix of 50% sharp and, 50% John Innes potting compost (number 2), and the results have been excellent. Take hold of the cutting and pull it back towards the base of the plant. It should break away from the main stem fairly easily, just be careful not to choose anything to large, or you may damage the plant. I use both seed trays and pots to raise my cuttings and both seem to work just as well. Dip the cutting into some water, (makes the rooting powder stick to the cutting far better) and then into the rooting compound. Prepare a few holes about an inch deep in the compost and drop the cuttings into the holes. Firm them in, and give the pot or tray a quick shake to settle the compost around the cutting. Rooting compound will help to ensure success. Do they need any special treatment? If you want to guarantee success with your cuttings the key thing to remember is to avoid them drying out. When a cutting is removed from the parent plant it has no way of taking on water, other than through the leaves, so I like to spray the leaves of my cuttings with water at least 4-5 time a day, unless it’s been raining, in which case I leave them pretty much to get on with it. In about 4-6 weeks your cuttings will develop their own root system and be ready to transplant into the garden, or into 3-inch pots for growing on. The roots are fairly delicate at this point so take care not to damage them or all your hard work will be wasted. I took a few pictures earlier today from my nursery bed to demonstrate how a cutting grows from basically a rooted twig into a mature healthy plant. I’ve included a rooted cutting, a 1-year-old cutting and 2-year-old plant. As you can see they don’t put on a huge amount of growth in year 1, but by year 2 they find their feet and grow away quite happily. To keep the plants nice and bushy it’s worth pruning them each year to encourage the plant to grow into a more compact shape. It’s the basic premise for producing bushy plants … don’t be afraid to prune, your plants will be so much better for it. If you’ve been following our blog you’ll know one of my ambitions is to start a little back garden nursery of my own. I had planned to launch earlier this year, but I lost a fair few cuttings due to the cold weather despite keeping them in the Polytunnel, the cold was just too severe. As a result it’s meant we’ve had to put that on hold for the moment while we build up our stock levels. If you’d like to keep this post for future reference I have created a PDF. It’s absolutely free, so please feel free to download as many times as you like, with my best wishes. This tip is very helpful. I too tried the sharp sand and rooting powder to root cuttings last year and was disappointed. This year I’ll try to follow your example! I love the smell of rosemary. I put sprigs everywhere, in our linen closet, in my Unmentionable drawer 🙂 and in our pillow cases. The smell is relaxing and calming after a hectic day.